This kit is intended to replace the cylinders and pistons of a 80" shovelhead engine and maintain the stock compression ratio of 8:1. Compatible with stock or S&S cylinder heads. 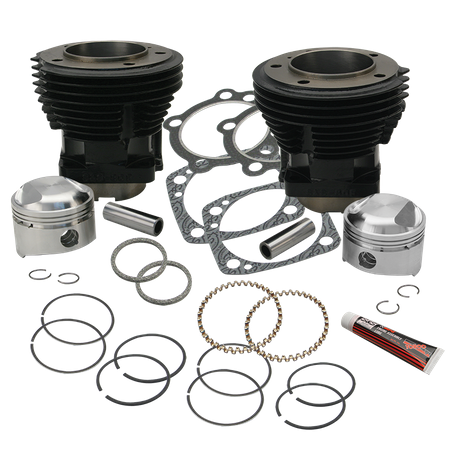 Kit includes S&S 3-1/2" bore high tensile cast iron cylinders, 3-1/2" bore forged standard compression pistons for 80" (4-1/4" stroke) engines with rings and wristpins, head gaskets, S&S stainless steel head bolts with washers, base nuts, base gaskets.